Hey D.C.! Are you ready for the inauguration? 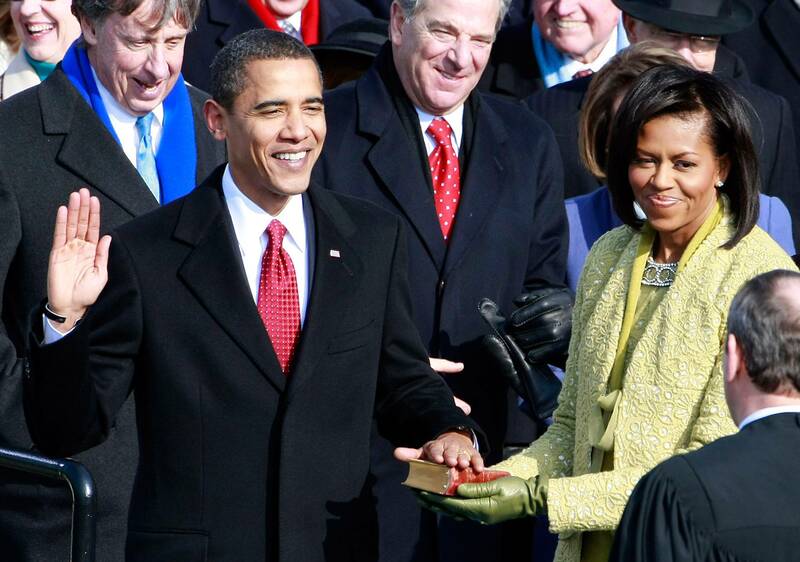 Barack Obama is sworn in, January 2009. The time has come again for D.C. to be closed down for an inauguration. Barack Obama’s second swearing-in is happening Monday. Unlike four years ago, this one is not drawing all the attention and people to D.C. – thank heavens! Last time around, over 1 million people came for the big event and many got stuck in tunnels, blocked from any access, and missed events because of the city’s inability to handle the numbers and the security properly. Hotels are not booked to overflow this year and it is much easier to get tickets to the events. What I don’t understand is why we do these at all. An Inaugural Address I understand, but for anyone who has been to one of these in the last 20-plus years (since they became monster events) it is a waste of time and money – personal and governmental. Start with sitting outside in freezing weather and go on through the day through nine balls. Nothing is accomplished and everyone freezes. The President and First Lady are exhausted and all the guests now have to get in place hours before the event due to the security that is required in today’s world. Sitting on a podium at the Capitol or along Pennsylvania Avenue for hours on end just to see the parade is truly not worth it. Go to Macy’s Thanksgiving Day Parade instead. You’ll see a lot more. And then the balls. There are at least nine of them now each year which means the President and First Lady go to each for about ten minutes. Few can even see them in person. If one is lucky, you get a glimpse on the big televisions. Then to get a drink requires standing in long lines and paying top dollar for a glass of very bad wine. To get to the ball, a taxi or limo is required since parking for private cars is nigh on impossible. But it’s always cold so with a long evening gown, one needs a wrap. That means checking a coat somewhere. Yet another long line after the line to get in with your tickets and go through the mags to make certain you are not carrying anything dangerous. (Please in a woman’s evening purse? Not even Alex Garfield can find a weapon small enough for a Judith Lieber purse!) Stay home! Or get dressed up and go to a wonderful dinner at Al Tiramisu or 1789 or Prime Rib. Twice when I went to these balls, the coatrooms were particularly horrific. Once was at a ball when the Boy Scouts were in charge of checking coats. The boys forgot to hang the coats in order of the ticket numbers so it was total chaos trying to find where coat number 930 was when it was hanging between coat 220 and 105. Hours were spent trying to get it straight. (Although some of us just walked into the coat room ourselves and found our own coats.) Another time of disaster was when entire racks collapsed because the fur coats were so heavy that they tipped over the racks. Minks and sables all over the floor! So, by now, my thoughts are clear: The inauguration is a waste of time and money. Add to the fact that the politicians spend all their time arguing about money and yet here we are spending millions on an event that is useless. Maybe the next President will stop this ridiculousness? Or whoever it is can propose that all of us leave D.C. and take a weekend away and charge to the government. We’d have a better time and we’d save money on the lack of security needed alone. One can but hope. 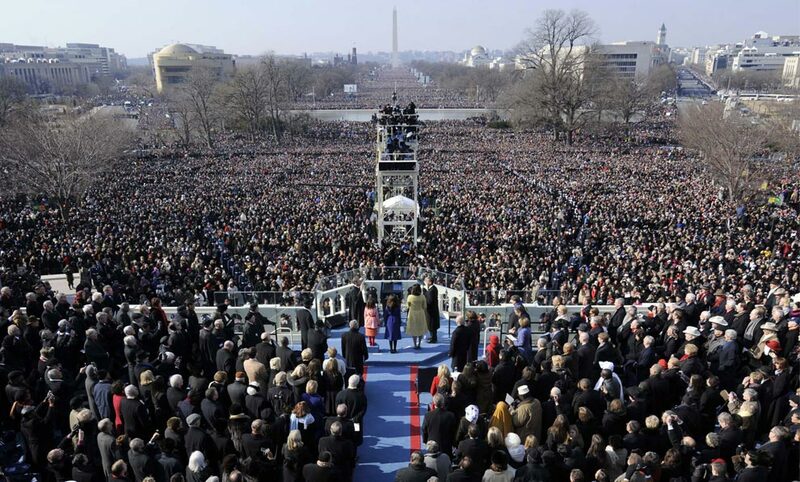 This entry was posted in Author Commentary and tagged 007, Alex Garfield, Barack Obama, D.C., inauguration, Jane Bond, Obama, Obama inauguration, presidential inauguration, Tillman Gilson, Washington, Washington D.C.. Bookmark the permalink.